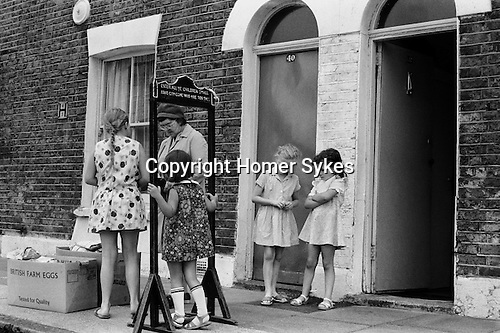 Farthing Bundles Fern street Settlement London images photographs London east end Bow. Irene Wood giving out the Farthing Bundles. bundle. Inflation and the welfare state have modified the custom a little.